Simple and free. 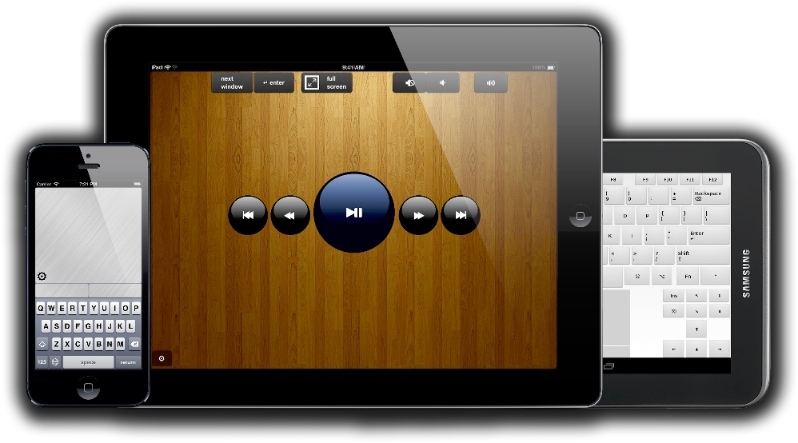 This helpful app allows you to: use your iPhone for presentations, controlling your desktop from any WiFi-connected part of an area; play games sitting in a comfortable position; control your PC- or Mac-based home cinema distantly when resting on your sofa. Advanced version with the built-in layout editor. A wide low-latency touch pad, native iPad keyboard, full-size computer keyboard with 88 keys or create your own. You can create keyboard layouts by yourself for your own needs. Clone existing layout or create it from scratch, add touch pad or buttons of any size to any position and assign keys or hotkeys to them. Simple and free. Enjoy a wide low-latency touch pad, native Android keyboard and a full-size computer keyboard with 88 keys. Why do you have to spend your money on a bulky wireless keyboard and mouse? Try Air Keyboard and feel the ultimate universality of your tablet!